Although the history of credit is long and complex, stretching back through much of commerce, it’s fair to say that the modern version of the consumer credit card was born here in the U.S.
As such, it’s likely unsurprising that many of the world’s biggest credit card issuers are U.S.-based banks like Chase and American Express. But the U.S. banks don’t have the monopoly on credit cards — not even here at home. Barclays, the issuer of the first credit card in the U.K., also has its fair share of the U.S. credit card market. Indeed, Barclays offers nearly two dozen credit cards to its American clients, including a large number of co-branded cards from some of our favorite retailers and travel brands. While Barclays has a robust range of credit cards, most of the bank’s offerings are co-branded cards from airlines, hotels, and other merchants. But what Barclays lacks in abundance it makes up for in flexibility with its prime travel rewards credit card, the Barclaycard Arrival Plus® World Elite Mastercard®. Unlike your average travel rewards credit card, this card doesn’t have a complicated points system that requires spreadsheets and multiple transfers to maximize. Instead, cardholders earn flexible miles that can be easily redeemed for a statement credit to cover any eligible travel expenses. And those miles are as easy to earn as they are to redeem. Users earn an unlimited 2X miles per dollar spent on every purchase made with the card, with no convoluted categories to track or activate and no caps on how many miles you can earn. The card also has a number of extra perks, including a 5% miles bonus every time you redeem, as well as a waived annual fee for the first year. Cardholders also pay no foreign transaction fees, which is a must-have in a travel card for anyone who ventures abroad. Simply by browsing the range of Barclays credit cards, it’s readily apparent that the bank’s cards tend to lean toward travel rewards of one kind or another. But travel cards tend to have one major downside: high APRs. But not every Barclays credit card will charge you a ridiculously high APR. 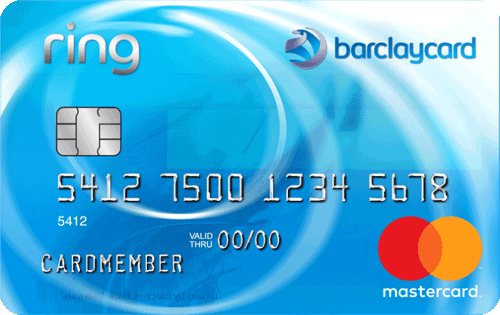 The Barclaycard Ring® Mastercard® is one of the few big bank credit cards that strays from the APR-range norm, instead offering the same low 14.24% Variable APR on every transaction. And they do mean every transaction. The same APR applies to new purchases, balance transfers, and cash advances — a rarity among credit cards from major banks, which usually charge much higher APRs for cash advances than other types of transactions. But that balance transfer rate doesn’t kick in right away. Instead, new cardholders can enjoy a 0% APR deal on balance transfers made within the first 45 days of account opening. That’s more than a year of 0% APR on your transfer. A balance transfer fee will apply to transfers made within that 45-day period. The card also has a couple other cost-saving features, including charging no annual fee. Foreign transactions won’t charge a fee, either, so you can buy abroad without paying for the convenience. 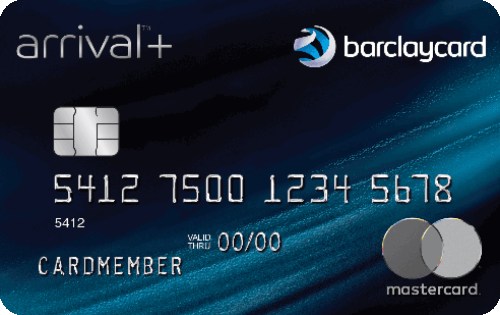 Although Barclays’s Barclaycard Arrival Plus® World Elite Mastercard® may be considered a cash back card by some thanks to the flat redemption rate for its miles, the card’s currency isn’t marketed as cash back. Indeed, only one Barclays credit card is marketed as a cash back card: the Uber Visa® Card. The Uber Visa® Card has bonus categories designed for users who are often on-the-go, starting with the unlimited 4% cash back on dining, including restaurants, takeout, bars, and UberEATS deliveries. Users can also enjoy 3% cash back on airfare, hotels, and vacation home rentals, including travel agencies and homeshare exchanges. As travel and dining bonus rewards weren’t enough, the card also comes with a broad 2% cash back bonus category that includes all of your online shopping purchases, as well as video and music streaming services. You can even get an annual $50 credit for online subscription services after spending $5,000 on your card each year. Oddly enough for the Uber card, that 2% bonus category is also where your Uber rides will fall. While isn’t the best rewards rate you’ll see for Uber, it can be an easy win for users who pick up the card for the other bonus categories — especially considering the card has no annual fee. And don’t worry about your phone being damaged or stolen while earning those online shopping rewards; the Uber Visa Card also includes up to $600 in mobile phone protection when you use your card to pay for your monthly mobile phone bill. Unlike most major banks, Barclays only issues a small number of cards that belong solely to the bank. 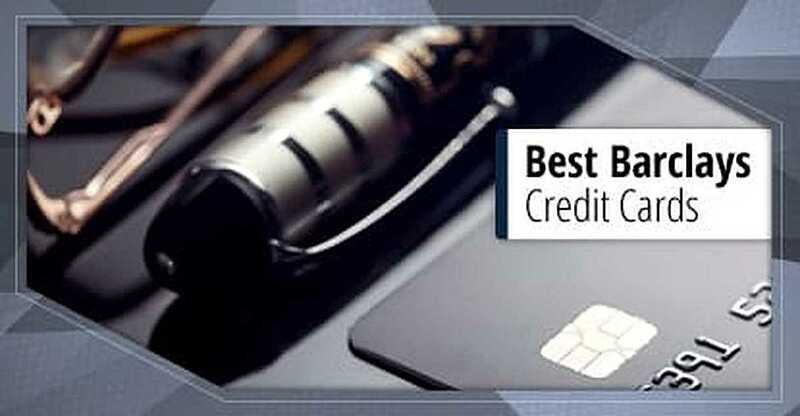 The rest of the issuer’s broad credit card offerings consists of co-branded credit cards that offer rewards for shopping with a specific brand, be it an airline, a hotel, or another retailer. Barclays has two distinct retail co-branded products, one from Apple and one from popular bookseller Barnes & Noble. Considering the lackluster rewards and tricky deferred-interest financing offered by the Apple card, the Barnes & Noble product is the clear winner in this category. The Barnes & Noble Mastercard® is a great option for avid book lovers and casual readers alike thanks to its hard-to-beat rewards and no annual fee. Cardholders can earn 5% back as a statement credit on every Barnes & Noble purchase, both in-store and online. This card is a bit of an oddity in that it offers two types of rewards with the same card. In addition to the 5% back on Barnes & Noble purchases, this card also earns 2X points per dollar on restaurant purchases (excluding Barnes & Noble Café purchases) and 1X point per dollar on everything else. Accumulating 2,500 points will automatically be turned into a $25 Barnes & Noble gift card that will be sent to the mailing address on file for your credit card account within seven to 14 business days after the close of the statement period in which you reach 2,500 points. Another solid perk of the Barnes & Noble card is the ability to earn 12 months of free Barnes & Noble Membership, which unlocks exclusive discounts and coupons. Simply spend $7,500 on purchases with your card each year to earn and maintain your Barnes & Noble Membership. In the travel industry, it seems you’re no one if you don’t have a co-branded credit card attached to your loyalty program. Everyone from Hilton and Marriott to Hyatt and IHG have their own credit cards designed to help loyal visitors earn hotel points on every purchase. While some of the bank’s competitors are home to luxury hotel cards with $400+ annual fees, Barclays keeps it simple with a few options for more budget-minded hotel brands like a co-branded card with the affordable Choice Hotels family of properties. The Choice Privileges® Visa Signature® Card helps users earn 2X points per dollar on every purchase, as well as an outstanding 15X points per dollar spent at eligible Choice hotels. If you want to top off your account or gift a stay to a friend, enjoy 5X points per dollar on purchases of Choice Privileges points or Choice Hotels gift cards. You’ll even have extra incentive to purchase your stay through Choice, as cardholders get a 10% points bonus on every Choice Hotels stay purchased with their card. Despite its solid rewards for Choice purchases, the card doesn’t charge an annual fee. It also comes with a nice 32,000-point signup bonus, which has a reasonable $1,000 spending requirement. Plus, earn an annual 8,000-point anniversary bonus each year you spend at least $10,000 on your card. Cardholders can also enjoy a few extra perks, including Elite Gold status just for being a cardmember. Elite Gold status grants advanced booking for rewards night, an exclusive reservations and customer service phone number, and an elite welcome gift at participating hotels. Not long ago, airline frequent flyer programs were generally considered to be the realm of business travelers who spent more time in the air than on the ground. These days, any consumer can join an airline’s frequent flyer loyalty program and earn miles for every flight. But you don’t even have to fly to earn miles anymore. Airline co-branded credit cards have become a popular way to earn frequent flyer miles without needing to actually fly. Barclays has several co-branded cards with popular airlines, but its American Airlines card stands out from the crowd. The AAdvantage® Aviator® Red World Elite Mastercard® allows users to earn American Airlines AAdvantage miles on every purchase, plus double miles on American Airline purchases like airfare and onboard purchases. Perhaps one of the most appealing aspects of this card is its generous signup bonus, which typically offers 50,000 AAdvantage miles for simply making your first card purchase — no giant spending requirements needed. But the card’s perks go well beyond the ability to earn miles. Cardholders can also enjoy a free checked bag on domestic American Airlines itineraries and preferred boarding on American Airlines operated flights. Users can also get a 25% discount on in-flight food and entertainment purchases. Additionally, with no foreign transaction fees, you can use your Aviator card to make purchases no matter your destination anywhere that accepts Mastercard credit cards. And don’t worry about a lost or stolen card with $0 fraud liability and 24/7 customer service. While not everyone’s ideal trip, cruises have become an increasingly popular way to spend their vacation. In fact, more than 20 million people go on cruises each year, with an estimated 25.8 million cruise travelers in 2017. As with other types of travel, cruise lines are hopping onto the credit card bandwagon, and most major cruise lines now offer credit cards. With three co-branded cruise line options, Barclays is tied with Bank of America for the most cruise credit cards, including one of our favorites. The Carnival® World Mastercard® is a solid option for Carnival cruise lovers as well as cruise-goers in general, thanks in part to the line’s 25 ships and dozens of destinations. Cardholders can earn 2X FunPoints per dollar spent on Carnival Cruise Line and World’s Leading Cruise Lines purchases, plus 1X point per dollar on all other purchases. In addition to purchase rewards and no annual fee, cardholders receive an extra perk that could be quite valuable: discounted excursions. Users can receive 10% back on shore excursions when pre-purchased through Carnival.com prior to the cruise. The card’s signup bonus is also a nice touch, with the typical offering of 10,000 bonus FunPoints available through Barclay’s website. Keep an eye out for targeted offers through the Carnival website, as they could include larger signup bonuses of up to 20,000 points. Plus, as with many Barclays co-branded cards, the signup bonus is easy to obtain because there’s no big spending requirement. You can simply use your card to make any purchase to be eligible for the signup bonus. Although Barclays was shortly behind the U.S. banks in issuing the first credit cards, the bank has long since caught up with many of its American competitors in claiming a share of the global credit card market — including obtaining millions of U.S. credit card customers. And it’s little wonder that Americans love Barclays’s selection of cards. Even at a glance, it’s obvious that Barclays is a good brand for travelers, with over a dozen hotel, airline, and cruise brands represented among the bank’s co-branded cards, not to mention its own flexible miles card. But the rewards alone aren’t what help make Barclays’s credit cards appealing to U.S. travelers. The cards also have one feature most cards issued in the States seem to lack: chip-and-PIN functionality. Here in the U.S., most credit card transactions are verified using a signature (or nothing at all, for low-cost transactions). That’s not the standard worldwide, however. In most of Europe, and many other countries, credit card transactions are primarily verified via a four-digit PIN number, much like debit cards in the U.S. While many European merchants have the ability to process a credit card transaction with a signature, standalone kiosks — such as those for train tickets or parking lots — typically rely on offline verification through a PIN, which can mean your signature-only card won’t work. Barclays cards issued in the U.S. offer chip-and-PIN verification as a secondary option. This means that when a transaction can go through with a signature, it will do so, but it also has the ability to perform an offline PIN-verified transaction when necessary. Of course, chip-and-PIN capability is hardly the only reason people love Barclays credit cards — but it certainly doesn’t hurt, seeing as how travel credit cards are best when you can, well, use them while you travel.